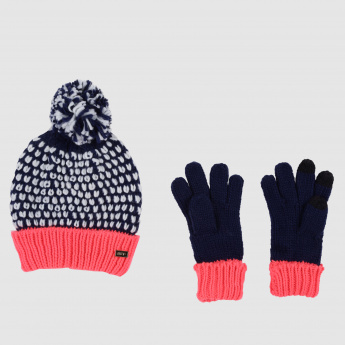 Spruce up your kid's accessory collection with the addition of this lovely set. With a soft and stretchable material, this cap will cover your kid's head properly offering a great fit for an entire day. 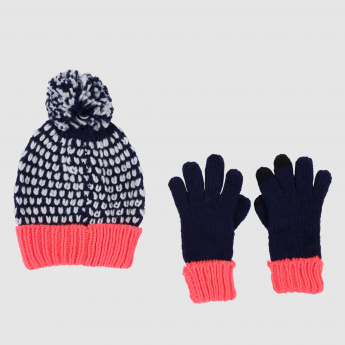 This set also includes gloves that are designed to keep tiny hands of your kid warm and cosy.